Tjongolongo has moved! version 1.1. is now active – ¿¡ tjongolongo ?! Start changing your bookmarks ’cause tjongolongo has moved to its own domain tjongolongo.com. As of today I will stop posting on the old site (tjongolongo.blogspot.com) and will only be posting on tjongolongo.com. After blogging for about 6 months now I have decided to move away from the free Blogger platform and start blogging on my own hosted domain. After a lot of research and asking around I have chosen WordPress as the platform to use for my blog. I have changed the layout of the site slightly. 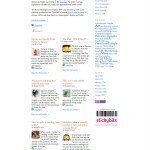 There is now a new menu with a separate HOME page and BLOG page as well as ABOUT and CONTACT. On the old site the blog was the homepage, but I wanted to separate the two. I have also added an ?!?! page for some special tjongolongo moments. The rest I leave for you to explore by yourself! I have chosen to launch my new website before it’s actually done. 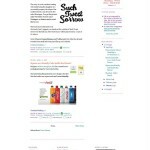 I have changed several basic things in design as well as in the background for SEO purposes. All these changes are just a start for me. I would like to receive feedback from you, my readers, on my blog on how I can optimise https://tjongolongo.com even further for you to be happy with it and keep coming back of more. The change of my site’s domain and appearance is only a start. I have more changes planned in the future. Both on the design and SEO side as well as the content side of things. The content side of my blog is something I am currently working hard on, in a couple of weeks you should be seeing more and more of my own content (as promised) and I will be fine-tuning my content in the months to comem. Not everything will change, I will still be writing about Marketing, Communications, Branding and Social Media. Just with even more of my own view on the topics. One thing that will also never change are my ‘tjongolongo? !’ articles. The whole reason I started blogging was to write down everything that makes me go tjongolongo?! So I will not stop writing about those items. I have even dedicated a special page which will change every now and than with a video that makes me go tjongolongo?! I hope you will enjoy my new site and I welcome your feedback. If possible I will try and incorporate your feedback into my site. Please note though that I will not be able to incorporate all tips, but I will try my best to incorporate most of them! So tell me, how do you like my new site? Pingback: A tjongolongo moment — ¿¡ tjongolongo ? !